27th to 30th May 2016. The festival will have approx 45 ales and ciders on offer, along with the PIMMS tent in the yard run by the WLS. Friday evening there are wood smoked pizzas available in the station yard, whilst on Saturday and Sunday evening there are the usual BBQ’s. Sunday evening is the ever popular quiz starting at 20.00. Class 25 D7612 and Class 37 6975 also working. 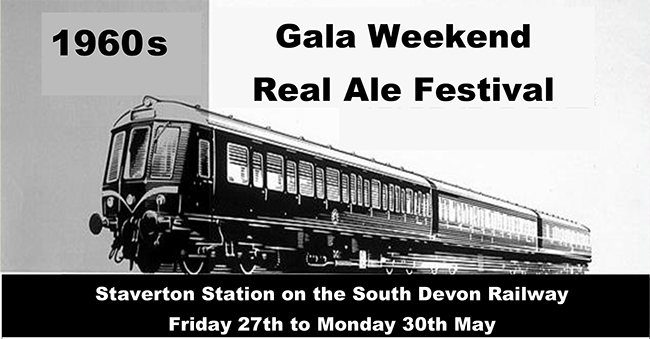 Late trains to/from the festival on Fri/Sat/Sun evenings. Timetables for downloading and local printing. Please note that all these documents are in Adobe® "pdf" format, so you will need the Adobe® plug-in to read them. If you haven't got this yet then please click on the Adobe® icon above to download it.